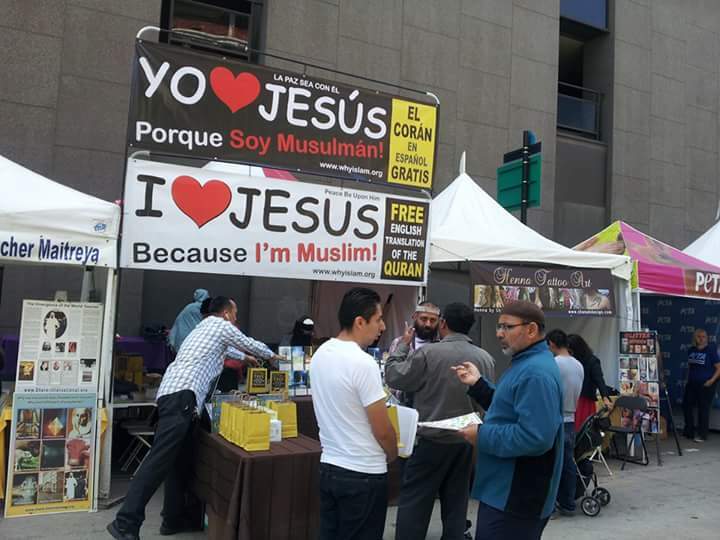 It was on early Sunday morning of April 26 that ICNA’s WhyIslam volunteers started setting up the Dawah Booth at the largest Hispanic gathering in the country. Most people attending the event are Spanish speaking of Hispanic origin and mainly come from a Catholic background. “Justice delayed is justice denied” rings true in my mind today as I think about Freddie Gray, his family, and the pain of the people of Baltimore.It has been more than two weeks and the local police department has failed to provide a report regarding what happened to Gray. (NEW YORK, NY, Feb. 11, 2015) – The Islamic Circle of North America (ICNA) extends its deepest condolences to the families of three Muslim students who were shot and killed execution style in North Carolina yesterday. (LOS ANGELES, CA, 4/17/14) This past weekend, the WhyIslam team, under the ICNA Greater Los Angeles chapter organized a successful interactive da’wah mega-booth at the 19th annual Los Angeles Times Festival of Books held at the University of Southern California.